New handcrafted pink glass smoking pipe for weed free screens. 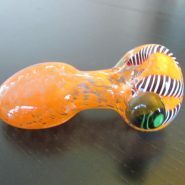 Home > Shop > Pink color glass smoking pipe with free screens. Pink color glass smoking pipe with free screens. New handmade pink glass smoking pipe for weed use. 4 " long. free pipe screens. and free shipping US only. 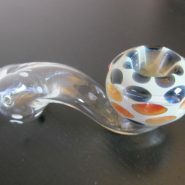 Great handmade glass smoking pipe for the happy pipe smoker here and around the world. 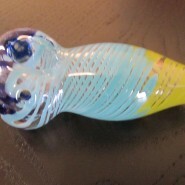 good mix of glass pipes and blue color decorated by colorful line and whit dots. buy pipes out of her and i will show you the way to happiness.